ABM offers powerful accounting software and optional modules designed specifically for the food industry. Featuring batch tracking, use by dates, buy and sell products by weight and/or volume, barcodes, different package sizes and comprehensive special pricing. Configured to your business, ABM fosters opportunity for growth. Banyule City Council’s Economic Development Unit is committed to assisting food, fibre and beverage businesses to establish and grow in Banyule. connecting and developing businesses through events and networking. Bedford Group specialises in packaging and warehouse services for the food industry with locations in Melbourne, Sydney and Adelaide. Bedford provides a complete commercial packaging and assembly service to both Australian and international companies and has a reputation for high quality performance, customer-focused attitude and building strong long-term relationships. Brimbank City Council is pleased to be a founding partner of the Melbourne North Food Group. 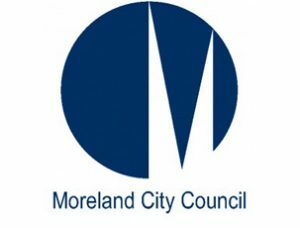 This partnership provides an exciting opportunity to build strong connections with food, fibre and beverage manufacturers in the municipality and contribute to building the capacity of an important industry sector in Brimbank. Darebin encompasses 75+ food and beverage manufacturers, employing 5,000+ people in the region. Darebin’s food and beverage industry ranges from coffee roasters to craft brewers, paleo porridge to packaged desserts, and everything in between. Darebin is pleased to be partnering with MNFG to connect businesses to the North and beyond. The City of Whittlesea has a track record of supporting the region’s food and beverage sector. We have dedicated economic development specialists to case manage queries, fast track applications and link to suppliers, industry groups, education and training providers and other related industries. We support your businesses to establish and grow. Crown Property Services is the only cleaning company with a unique Evolve Continuous Improvement System that continuously engages with their clients, evaluates their clients feedback and executes all their requirements. For a more efficient and effective cleaning service delivery, the system provides a seamless and professional quality cleaning solution with a personal touch. CT Freight is a freight forwarder that arranges freighting for merchandise on behalf of exporters to overseas markets, via air or sea. Specialising in perishables, CT Freight offers a comprehensive range of freight forwarding products and specialises in customising a service to suit individual clients. EDGE provides services and solutions for all aspects of industrial water use, from traditional water treatment to trade waste and re-use, packaged filtration plants and industrial chemical cleaning. EDGE focuses on a complete water management approach on site, covering chemical and mechanical solutions for medium to heavy industry, general manufacturing and food processing facilities. Established 1995, Esko Australia Pty Ltd works with major European food processing and packaging systems equipment suppliers to develop, promote and supply key quality solutions to their customer base. They offer solutions ranging from standalone machines through to turnkey end-to-end lines. Food Process Engineering designs and specifies equipment and systems for the food industry. With over 30 years experience, their staff are able to provide engineering solutions for projects ranging from single items of equipment through to fully automated turn-key plant. Commitment to advancing technology for the best client outcome is integral. Fusion Commercial specialises in custom-made skid mounted control and process systems that they design, engineer, fabricate, supply and install. With over 10 years of experience, Fusion Commercial has worked across broad industries from brewing to confectionery, abalone processing and water treatment. Fusion Commercial is based in Kensington. 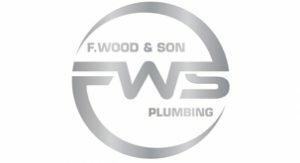 F. Wood & Son has over 35 years’ plumbing experience and works within the food and beverage sector, providing specialist skills along with the latest technology and systems. Equipment installation is a specialty, from connection to commissioning. The company is also the plumber of choice for festivals and exhibitions. Hot Coals Catering is a mobile event catering company supplying tasty, authentic wood fired catering. Their mobile catering team can provide tantalising finger foods, stunning buffets right through to sit-down meals, at private events, corporate functions and more, bringing their trailer-mounted wood-fired ovens, or using your facilities. access to government incentives for certain industries, particularly those focusing on export. ICAL is an Australian owned international freight forwarding and customs brokerage company with strong connections across the world. With handpicked, highly trained and experienced staff, ICAL has a 30 year history of performing high quality freight forwarding, logistics and customs work specialising in food products. Independent Software Advisors provides free on-site business application consulting to food process manufacturers and distributors. The company has assisted many food manufacturers and distributors to find the most affordable, functional and well-supported ERP/MRP solution for their production planning, scheduling and distribution. InterGO Partners are strategic advisors to the food and beverage industry. They offer a unique blend of highly skilled and capable senior consultants with extensive backgrounds in the food and beverage industry covering business strategy, marketing, finance and supply chain. Free initial consultation offered to MNFG partners. Kangan Institute can tailor training solutions to provide both hard and soft skills to support your workforce development needs. Specialising in Food and Fibre, Kangan Institute can support the needs of a changing workforce, offering a raft of customised training programs from leadership and management to food processing and handling. La Trobe University’s leading researchers work collaboratively with businesses in the food, fibre and agribusiness sector to develop differentiated products, identify system and process improvements (including streamlining supply chains), utilise new technologies in animal and plant health, and provide advice to ensure businesses use market signals to inform decisions. Macpherson Kelley (M+K) supports businesses from the food, beverage and fibre industry across the supply chain (manufacturers, growers, processors and distributors). Contact M+K for brand protection, labelling, product launches and marketing strategy, compliance training, product liability (including recalls), employment advice, property + equipment leasing and review of commercial contracts. Matthews Steer are community-focused accountants and business advisors with a track record of growth, innovation and investment within Melbourne’s north west. Matthews Steer have assisted many SMEs, including food businesses, to achieve growth through focused strategic planning, financial management strengthening and accessing state and federal government grants. Melbourne Innovation Centre (MIC) offers business and support services to a range of industries including food and beverage SMEs and start-ups. MIC excels in assisting businesses to scale via its business incubation and accelerator programs, with a particular focus on digital business training. Melbourne Market is Victoria’s wholesale fruit, vegetable and cut flower trading centre. Operating from a purpose-built facility on a 60-hectare site at Epping, the Market provides critical links between growers, wholesalers, retailers and fresh produce supply chains. 4,000+ businesses use the Market as a base, buying and selling fresh produce. Melbourne Polytechnic is committed to supporting the workforce development needs of the Melbourne’s North Food Group. The Institute can identify current and future skill needs to assist in planning for the ongoing development of employees. Melbourne Polytechnic also has numerous high-quality facilities perfect for product launches, seminars and professional development. Mitchell Shire is situated 30kms north of Melbourne. It is strategically located offering urban, peri-urban and rural landscapes. Situated along the Hume Fwy, Mitchell Shire boast excellent transport connectivity. Significant population growth is projected, with most of the focus on Mitchell South in the new Urban Growth Zone. Modern Business Group are innovative business advisors that help guide small and medium businesses towards growth by giving them the skills necessary to think like a big business. They believe every ‘modern’ business needs to know their numbers, think strategically and keep accountable to a profit plan. Utilise their professional knowledge. dedicated Investment Facilitation contact officer. OFI offer a wide range of standard weighing and inspection systems such as weighing scales, inline checkweighers, metal detectors and X-ray inspection to help streamline production processes. With over 20 years of experience, they supply customised service and system solutions to a range of industries, including food, packaging and logistics. ONJ SERVICES is an electrical engineering and contracting company experienced in food processing. ONJ utilises experienced industrial electricians and engineers for new line installations, fault finding analysis and repairs, 24/7 breakdowns/motor rewinds and power analyses. ONJ provides quality service, increasing plant productivity and reliability by utilizing modern technology and technical knowledge. Oomami is a social network, marketplace, warehousing and national fulfillment service for small producers. Producers can grow their businesses by reaching new customers nationwide and simplify their lives by using the automated ordering, invoicing and payments features on the platform. Quest Apartments Bundoora feature 76 multi-sized room serviced apartments, including free wi-fi and free undercover parking. A complimentary corporate shuttle bus operates from 7am to 9am within the local area. Quest Bundoora is located 100m from local cafes, restaurants and a full shopping centre. Quest Epping apartment hotel provides brand-new accommodation for corporate and leisure travellers. Located within the Pacific Epping Shopping Centre and the Urban Diner precinct, and close to the Northern Hospital, Melbourne Wholesale Fruit and Vegetable Market, Northport Enterprise Park and MAB Alliance Business Park, it is just 33km from Melbourne’s CBD. 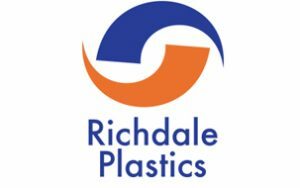 Richdale Plastics is a flexible packaging manufacturer that specialises in plain and printed rewinds, laminates, bag pouches, bundle shrink/shrink wrap, pallet shrink bags and more. They provide a cost-effective service from start to finish, followed up with quality customer service by a dedicated team. Robert Weller and Associates (RWA) has raised or assisted in raising, over $49 million since 2000. RWA specialises in accessing Government Funds for start-up, growth or business expansion. RWA is a team of 7 skilled executives from Finance, R&D, Sales, Marketing, Production and Distribution; with 300 years of combined experience. RMIT’s Food Research & Innovation Centre provides end-to-end R&D solutions to the food industry, including product development, process optimisation, quality assurance, food safety and shelf-life testing, sensory and consumer acceptability testing and validation of nutrition and health claims. It also provides opportunities for student placements with industry. Sable International are Melbourne’s north’s foreign exchange experts. They help individuals, businesses and organisations send and receive international money transfers safely and securely across the globe. All MNFG partners enjoy preferential foreign exchange rates guaranteed to beat the banks’ retail rates and zero transfer fees on all international money transfers. Stainless Services is a stainless steel fabrication company specialising in fabricating and installing purpose-built equipment. With 35 years in food manufacturing, they have a real understanding of the requirements and challenges involved in producing quality food products. They work closely with clients to help develop and improve efficiencies within their manufacturing facility. Stevco Pumps offers a comprehensive range of pumps and mechanical seals to suit almost every industrial pumping application. Stevco’s workshop is well equipped to build new pump sets, overhaul existing pumping equipment, and perform improvements, including mechanical seal upgrades and application of high efficiency abrasion resistant surface coatings. SalaryMasters is an award-winning specialist provider of salary packaging and novated leases. SalaryMasters ensures employees maximise their salaries, and at the same time takes away the administration pain from employers. Become an employer of choice today and give your employees a ‘pay rise’ without affecting your bottom line. Uni Hill Conference Centre is a modern state-of-the-art venue hire located in the northern suburbs of Melbourne. It offers four conference spaces and an auditorium that seats up to 500 with the latest audio-visual technology. Catering for all meetings, seminars, networking and events at the highest level. Founded in 1859, Watermark is an Australian Intellectual Property (IP) firm renowned for delivering exceptional client care to match its peerless IP knowledge. With offices across Australia and the globe, Watermark assists businesses with patent, trademarks, IP legal advice and competitor analysis. Brand, strategy and perspective is always in mind to best value your business. Yarra Valley Water is the largest of Melbourne’s three water corporations, servicing Melbourne’s north-east. Its service area covers 4000 square kilometres and network consists of around 20,000 kilometres of water and sewer mains. Yarra Valley Water manages of $4 billion worth of infrastructure and assets, and employs nearly 600 people. From 360° branding to integrated campaigns, Yummy Creative helps to communicate your brand’s message. From paddock to plate, they are passionate about all things food. As Melbourne’s go-to boutique creative agency, Yummy has mastered the fine art of visually appealing food and beverages. Food is an expression of their identity.